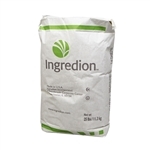 A binder or thickener for many restaurant dishes. It is made from corn kernels and becomes clear when heated. It has twice the thickening ability of flour which makes it better for certain meals. Clabber Girl Corn Starch Tub - 3.5 Lb. Ach Food Argo Corn Starch Canister 16 oz. Corn Starch Melojel Pure Food Powder - 50 Lb. Corn Starch Pure Food Powder - 50 Lb. Corn Starch Instant Jel Clear - 25 Lb. 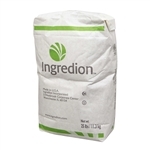 Corn Starch Colflo Modified - 50 Lb. Corn Starch National 465 - 50 Lb. Bob's Red Mill Corn Starch - 18 oz.